Rt is the thermal probe. Resistive thermal couples such as those used in most kitchen thermometers all work the same way. As temperature increases resistance decreases, conversely as temperature decreases resistance increases. The resistance is exponentially related to temperature. This circuit might work for you as well, but there are no guarantees. At boiling the thermocouple measured 6.19 kilo ohms, and the meter displayed 216.1 degrees which is 4.1 degrees high. In near frozen ice water the thermocouple measure 326 kilo ohms and the meter displayed 30.0 degrees which is two degrees low. The easiest way to figure this out may be to plot the effects of different resistors in Excel, however you can calculate the values if you would prefer. With these data points an exponential fit can be derived. From this fitting equation the required resistance can be calculated for the temperatures that were displayed by the meter. We can calculate the resistance needed to display 32 degrees. This is 315k ohms. the parallel resistance in order to make 326k ohms into 315k ohms is 9.33 mega ohms. The same type of calculation can be done for Rs. Note that the circuit would be slightly different if correction in the other direction was needed. 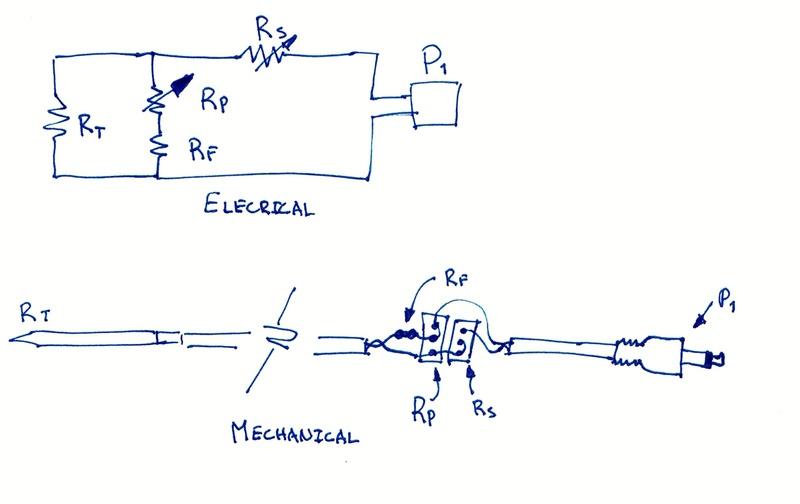 The parallel resistor will reduce the resistance of the thermal couple making it appear to the meter that the temperature is actually warmer than it really is. The series resistor will increase the resistance making it appear colder. It may take some toying with the values to get it working. The series resistor will have more effect at hot, and the parallel resistor will have more effect at cold. This is because of the relative size of the resistors. 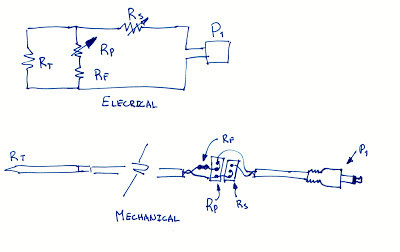 When Rt is large, even the full range of change of Rs is negligible, however Rp is close in size to Rt in this condition and will therefore change the resistance more. Now, when Rt is small, the large parallel resistance is effectively an open so it will have little effect, however Rs is close in size so it will change the total resistance sustainably.